The Department of Justice’s inspector general could soon release his expected explosive report detailing a more than yearlong review of the FBI and DOJ’s Hillary Clinton investigation – an effort that has already put top FBI official Andrew McCabe and his pension in jeopardy. Over the last year, Department of Justice Inspector General Michael Horowitz has been reviewing the FBI and DOJ’s actions related to its investigation into Clinton’s use of a private email server while she was secretary of state. On Wednesday, fresh evidence emerged that Horowitz may be winding down his efforts. Attorney General Jeff Sessions is considering firing McCabe over the findings in Horowitz’s review, sources said. According to the New York Times, Horowitz concludes in his report that McCabe was not forthcoming during the review, which included an examination of McCabe allowing FBI officials to speak with reporters about the investigation into the Clintons. The FBI’s Office of Professional Responsibility recommended that Sessions fire McCabe. If McCabe is fired this week, it could deprive the outgoing deputy director of pension benefits. 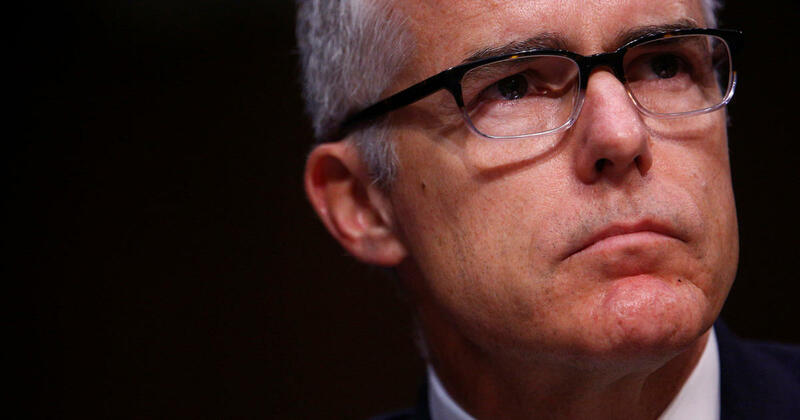 McCabe’s pension kicks in on Sunday, his 50th birthday, so the termination would have to be done by close of business on Friday to stop it. In November, Horowitz said his team has interviewed dozens of people and had reviewed about 1.2 million records in the course of its investigation. But he acknowledged during a congressional hearing last year the classified information involved and necessary security clearances have slowed the process. The review is also looking at whether the Justice Department’s assistant attorney general for legislative affairs “improperly disclosed non-public information to the Clinton campaign” and should have been recused. That’s in reference to official Peter Kadzik, who had been an attorney in the past for Clinton campaign chairman John Podesta. Horowitz said the review is looking at whether any DOJ or FBI employees improperly disclosed non-public information. The inspector general’s review uncovered the anti-Trump texts from FBI official Peter Strzok, who called Trump an “idiot” and texted about an “insurance policy” against a Trump presidency. Strzok had been assigned to Robert Mueller’s special counsel probe, but has since been reassigned.